This apartment has everything you need for a great vacation. It is very comfortable, well equipped and an added bonus for the soap opera addicts amongst us (not looking at anyone in particular!) was the great range of UK tv stations available. 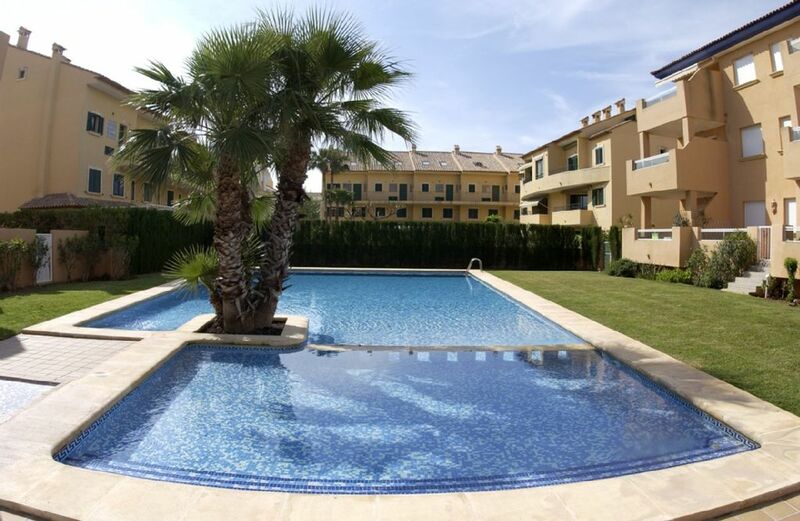 Although we were there in the off season, the grounds and pool looked really great and we look forward to returning in sunnier climes when we can try out all the facilities of this beautiful apartment complex. Una semana estupenda, el residencial es perfecto, andando se puede ir a la playa, a la zona del puerto... El apartamento limpio y con todo lo necesario para pasar una semana de vacaciones perfecta. Por ponerle un pero, le falta aire en el comedor, en los dormitorios si lo tiene. Zonder meer een prima appartement met alles erop eraan, op korte loopafstand van het (kiezel)strand. Naast het praktische gebruik van een vaatwasser, wasmachine, een riante keuken en een groot balkon, is aan alles gedacht om het de strandliefhebber naar de zin te maken. Zoals een parasol, voldoende lichtgewicht strandstoeltjes en ligbedden en tal van attributen voor vertier in zee. Lovely, well equipped apartment. Well located with lots of restaurants nearby. Kitchen has everything you need and the terrace gets sun all day which was lovely. Excellent communication with owner. Would definitely recommend and would stay here again. Apartment was spacious, clean, well equipped and in a great location. In fact it was quite perfect for what we wanted. Would certainly recommend. The appartment is just one road back from the sea and is idealy situated for walking along coast, into Arenal, to the shops/supermarkets and restaurants of which there are plenty. The owner is helpful with good communications and goes the extra mile to ensure you have a trouble free stay - thank you. If more than four occupancy, extra occupants charged at £25 per week. Rental rates are inclusive of all cleaning and laundry and use of the air-conditioning. If booked for 2 weeks or more rates include a weekly clean and laundry change.